Dec. 4, 2018 – Now that lumber markets have receded, has borrowed time run out? Most importantly, the CSR validated contractors’ profitability issues and concerns and acknowledged that changes must happen or licensees will be affected. During a period of record high lumber markets, far too many contractors in this province were running on borrowed time. Additionally, the recent Canadian Forest Industries (CFI) 2018 Contractor Survey revealed absolutely startling revelations about contractor margins compared to its survey in 2016, indicating a significant increase in the number of contractors across Canada who did not earn a profit; 77 per cent of contractor respondents said they were making the same to much lower profit margin; and more than one third of B.C. Interior contractors said they made zero profit. In contrast to contractors’ poor financial performance over this same period of time, lumber prices rallied to their highest ever, reaching a peak earlier this year. And, as we’ve seen with the recent market decline, these high prices are not sustainable, leaving contractors, as predicted, in an even more vulnerable position. Contractors own and operate businesses with the intent to earn a return; they are not in business to subsidize the financial returns of their customers. 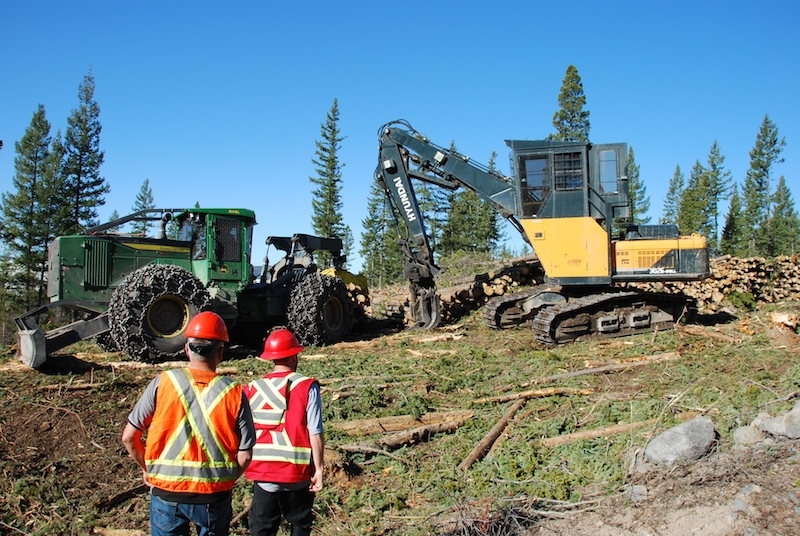 When it comes to cost savings in the supply chain, loggers in B.C. have nothing left to give. The proof of this is abundantly clear based on the data from the CSR and the CFI survey; both proved TLA’s assertions that contractors’ financial viability is poor, confirming that contractors in this province are not earning a sufficient return to reflect the risk of operation. Typically, in previous stronger markets, contractors have been able to rebuild their balance sheets and improve their financial fortitude to withstand the next market downturn. That is clearly not taking place today, even with recent record lumber prices. Why does this matter? Are contractors simply complaining they are not making enough money? Of course not. It matters because if contractors cannot be viable, they will leave the sector, as the industry has already seen happen. In turn, the ability for sawmills and pulp mills to get the logs they need to operate will decline, which has also already begun to happen, putting the 140,000 jobs dependent on the forestry sector at risk and destabilizing communities. The closures in Port Alberni and Winter Harbour are two very recent examples of that occurring in B.C. Forestry is a vital resource to communities and the entire province. When businesses do not earn returns, they close down and that impacts communities. The forest firefighting effort this past summer provides a good example. Whose equipment was used to fight fires? Contractors. When contractors close down, they sell their equipment, which can be sold anywhere in the world and may not necessarily remain local to support community needs. We have seen the best ever lumber and pulp markets, and yet contractors are continually discouraged and their costs are not getting any lower. As I have said so many times in the past, this juxtaposition means there are serious issues in the industry. Unfortunately, lumber prices have now receded sharply and mills that are faced with softwood lumber duties are claiming they are not generating revenue. With the apparent good times over, has borrowed time run out? More importantly, how are we going to solve the very serious issue of contractors not being financially viable?